I craved cookies this weekend. Not just any cookies. 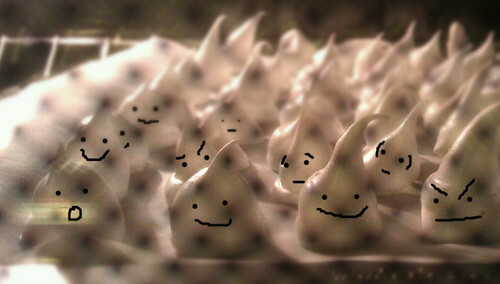 Meringue Cookies. And this wasn't out of the blue, oh no. This was Pinterest. Nicholas, having spent a lot of his childhood in his mom's candy shop, gave it a shot and.. whala!